Copier machines today do not just copy documents; they now offer different features such as scanning, faxing as well as printing. As machines becomes more advanced, it is hard to decide which machine would suit your needs. Knowing the important features that the company needs however, can change that and make it easier to find the right copier. If you are on a tight budget and would only need the most basic photocopying services, then an analogue copier machine would suit you. Analog copiers are more affordable compared to color and digital machines. Copies made can be of good quality depending on the brand and specifications of the machine that you would buy. On the other hand, if you want more functionality but have a limited a budget, a digital photocopying machine is your best option. Digital photocopying machines usually come with two or three features such as fax and print features in one unit. They are a bit more expensive than the basic copier but are slightly lower in price than a color copier. Digital copiers are stable, cleaner running, and produce less noise than the analog ones and the printing quality is better. Now that you have a basic overview of the different types of copiers, the next thing to do is to check the size of the copier. Do consider the location of the copier. Will you place it on top of a table or in a corner as a standalone? Shop around to compare prices. There are several brands that you can choose from. Examples of brands are Canon copiers, Ricoh,Toshiba, Sharp and Xerox. Refurbished copiers are also available; they are cheaper and the best buys if you are not a heavy user. Before determining the best laser printer that is suitable for your needs, the first thing you should do is understand the basic knowledge about the printers. Printers have two ways to produce a picture; an inkjet printer produces a picture by spraying very small dots of ink onto the paper while a laser printing device produces a picture by throwing powdered ink to paper which is then electrically charged to drum for the image to transfer to. If you have needs to print more photos or graphics and less text-based documents, you might be better off to buy an inkjet printer. 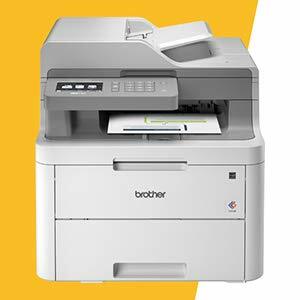 If you have needs to print many text-based documents, a laser printer will be the best choice for you. Choosing the right device for printing is very important because if you frequently print many documents then if you use an inkjet printer, you will spend more money for the ink cartridges over time then the expense of laser toner cartridges over the lifetime of a laser printer. You can find a black and white laser printing device for less than $200. These types are usually cost-effective plus cheaper to maintain as compared to inkjet printers. A color laser printer is significantly more high-priced, and it is right here that you can be teased to select an inkjet printer as an alternative. Remember though, that the first investment pertaining to color toner cartridges enhances the upfront price of a color laser printer, yet color printing is going to definitely cost a lot less per page than inkjet printers. Although some color laser printers can handle the printing of photographs, the picture quality depending on the quality of the laser printer will sometimes be substantially worse than some inkjet printers. That is why if you have a strong intention to print photos, it is recommended that you select an inkjet printer usually. A laser printing device can yield crisp and razor-sharp text output associated with simple graphics (grayscale) yet it doesn't mean you need to neglect resolution specifications entirely. Printer resolution is usually assessed in dots per inch. If you have a printer which has a higher resolution then it will result in a sharper and crisper outcome printed job. That is why it is worth taking into consideration if you will be printing graphics. Monochrome/grayscale laser printing devices have a resolution at 1200 by 1200 or 600 by 600; however these scales are usually more than enough regarding printing text and graphics. The resolution of a Color laser printing device is often as high as 2400 by 1200, that increases the quality of the colour print substantially. Memory space decides how fast your printing device prints plus the quality of the prints it creates. Printing devices with laser technology save documents within memory. More memory enables you to print a higher resolution at quicker speeds. If you deliver a high-resolution to your printing device, yet do not have the memory to take care of it, the printer instantly sets the work's station resolution to check the actual printer's capabilities. Memory space upgrades are relatively affordable; therefore if you select a cheaper laser printing device along with less memory, search for one which can allow memory space upgrades, particularly important if you do network the printer with several users in your workplace. 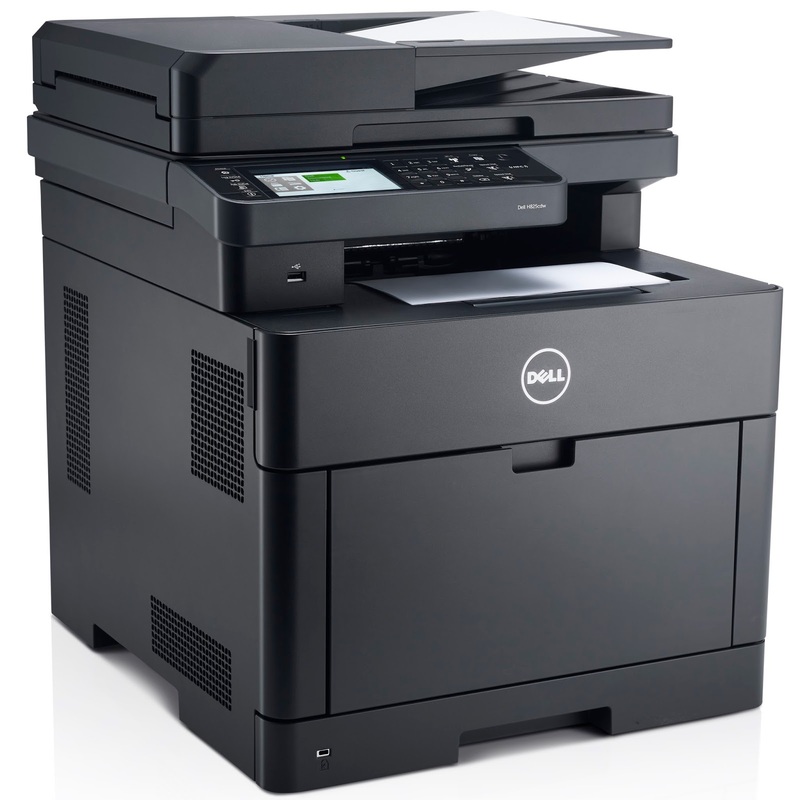 The majority of expensive laser printing devices, is equipped with at least 64MB of memory space. If you are purchasing for a large business with many print jobs, select a laser printer which can be upgraded to at least 128MB, if not more. Once again, if velocity is the key element, take into consideration to buy the model with additional memory space. Copier sales might be seeing a slight decrease because a lot of businesses today are opting to not buy a copier and to simply purchase copies from a store whenever they need them, but is this really the more efficient option? For businesses that need to make lots of quality copies on a daily basis, it's a wiser choice to purchase a quality copier for themselves. Owning your own copier will save you time and time is money. Sometimes you need a copy in 5 minutes, and don't have the time to send somebody to a store. The person has to drive to the store, wait for service, wait to have copies made, carry the copies to their car, and drive back. By owning your own copier, you could reduce this process to a 30 second walk to and from the copier, and copies that are made immediately. You can save your employees a lot of time that can be spent efficiently rather than wasted. Owning a copier for your business will also save you money. Sure, buying a copier is a lot more money than making copies a few times, but you're likely making copies more than a few times a day, week, or month. A copier is an investment that will pay for itself over time. Every copy you make on your new copier represents money that you're saving to merit your purchase. Not to mention the gas money you won't have to spend driving to and from the printing services store. Printing service stores are great for individuals who make a few copies a year, but copier sales should still be strong among companies who require copiers daily, or even weekly. This can be a difficult decision to make because you need to know things like workloads, and duty cycles. But you can learn all about these things by turning to the internet and doing some research on a printer copier. It's important to learn how a printer copier will work and how it can benefit you. Once you know the employees in the workplace or how the company will use the new office equipment, you can begin to compare specs between different brands on the internet. It's always a good idea to compare a few different brands at the same time to get an idea of prices and features they offer. What you should look for is a brand that stays within your budget and will also get you all of the features you want. Also make sure it performs the way you need it to. If you have a fifty cent budget, don't expect anything high quality. Your best bet is to wait until your budget is a bit higher to ensure you get a better printer copier. Typically the multifunction units are quite compact when compared to other office equipment. They can normally be setup in a small cubical, or storage space. This makes them ideal for small work places. They can usually sit on a desk or a shelf. They aren’t big pieces of equipment and don’t require a lot of space. Fewer parts breaking means they will save you time when it comes to repairing them. This will save your company some money and every company, owner or boss likes to hear the words “money saver”. If your office isn't a place that will demand anything extreme out of this equipment, it will do everything you need it to. Canon or Xerox copy machines come in a variety of different types and sizes and can be trusted that they will deliver higher quality work in bulk in a very short period of time. They are in two different categories; black and white only (or monochrome) and color copy machines. It is therefore important for you to determine in advance which one will be more fitting for the kind of work that you have to do. They also differ in physical sizes and speeds, such that there are those that you can just place on a table top and others that will require quite a bit of considerable amount of space for its foot print. It is up to you to decide, depending on the amount of space you have to spare for the machine and also depending on the work load that you have and at what speed you’ll need; which could be anywhere from 10CPM up to 90CPM for tabletops or office grade medium size console units. You also need to think about the specifications of the Canon or Xerox copy machines in case you need to perform multiple tasks at the same time and this could probably lead you to think more about the digital ones available today. With quality products comes a need to cough up a little bit more money, but it is well worth it, if you are going to be assured of reliability and durability. If you can afford to part with a little bit more dollars, you might then want to consider one of the latest editions of the Canon or Xerox copy machines which are more value loaded. Before purchasing though, you need to run a test on them and probably get the sales personnel at the sales stores to clarify any misinformation you may have. Once this is done, you’ll probably be ready to pull the trigger and make the payment and have your machines delivered to your office to start your projects. A copier machine is commonly used in offices and school places as they provide copying purposes that is part of these community structures. Xerox Corporation presented the first in the year 1949. Photocopy machines are widely known as Xerox machines back then. Nowadays, copier machine apparatus' are more advanced. Top quality can provide high-grade photocopying tasks such as copying colored materials like photograph pictures. Manufacturers continue to develop more useful copy machine models to meet the growing demands, in the field. 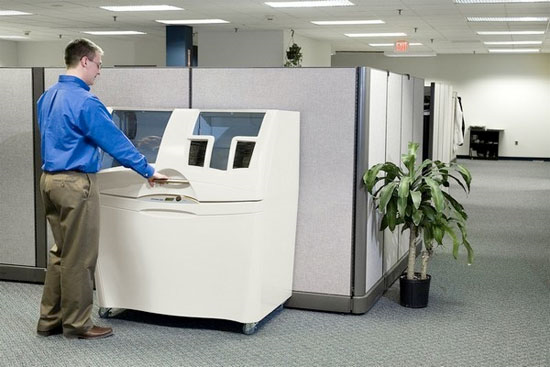 Copier machine equipment is ordinarily found in every office corner. Most offices prefer to use digital machines, due to its ability to save more time, money and make employees at work to be more productive. One type of copier machine is the Sharp AR-208D. It is designed for small spaced offices. This model comes in desktop size printers. Despite the size this machine has, it also has 600 dpi PC Printing, electronic sorting plus standard color PC scanning features. AR-208D can make 20 document copies per minute and can produce, at most, 99 document copies if placed in continuous copying setting. All in one printers are the latest models produced by different manufacturers. These machines provide Fax printing, document printing, scanning and photocopying tasks. The design was created to deliver the most commonly used features all in one package and thus, increase productivity levels using such machines. 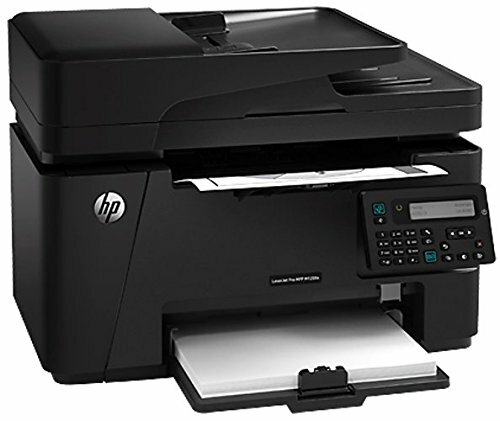 HP LaserJet M1319f MFP is an example of the latest all in one printer manufactured by HP. This machine provides scanning, faxing, printing and copying services. This equipment is both a cost-efficient and time efficient investment due to its multi tasking abilities. 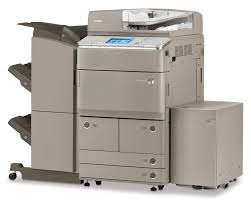 This machine can print a maximum 8000 pages per month, make 99 document copies per day and can hold up to 500 pages of 8.5x11” size fax memory. Canon PC170 copier machine is an analog copying device that can fit in small spaces. The size of this equipment is 32" width and 4.5" height. It is comparable to the usual flat DVD player. Personal Copiers like this makes copying services available at home and at places wherever the user wishes to go. A pouch laminator can make a great addition to your home, office, school, or professional print shop, but with all of the outstanding laminating machines on the market, knowing which machine will fill your unique needs can be difficult. Below we will break down the differences between the various styles of pouch laminators to help you make an informed decision about which laminating machine to purchase. Nearly all pouch laminators are thermal machines, which mean that they utilize heat to seal the pouch and fuse the layers together. Depending on the machine, the heat is applied by either heated plates or heated rollers. All machines utilize rollers to help ensure secure adhesion, eliminate air bubbles and move the laminated documents through the machine. Low volume machines (primarily for home use) are equipped with two rollers, mid-level laminators (for offices or schools) contain 2-6 rollers and professional laminating machines (for high volume users or copy shops) include between four and ten rollers. Most machines offer variable temperature control to allow users to adjust the heat level based on the thickness of the laminating pouch. Many pouch laminators also include a reverse feature, which makes it easier to clear jammed or mis-fed documents. Other popular features include a stand-by mode (preserves power while the machine is not laminating), the ability to laminate without a carrier sheet (used to prevent adhesive from oozing out from the edges of the laminating pouch and onto the rollers), cool rollers (help to reduce curling of laminated documents), and the ability to laminate photos. Pouch laminating machines for home use offer the most basic features, without many of the advanced options that are used in office or professional settings. These laminators are most commonly available in 9" and 13" widths, and can laminate 3 mil and 5 mil pouches only. The only difference between these two models is the maximum width - the HQ-230 laminates documents up to 9" wide, while the HQ-330 allows users to laminate documents up to 13" wide. If you only laminate infrequently, and do not use pouches thicker than 5 mil, then a home pouch laminating machine may be the perfect choice for you. If you are looking for something a bit more robust, then read on to learn about office pouch laminators. Pouch laminating machines for office use offer a greater range of features than those designed for home use, and can handle a medium-to-high volume of usage. These laminators are available in widths ranging from 4" to 13.5", and can laminate pouches from 3 mil and 10 mil thick. In addition to being able to stand up to more frequent usage than home laminators, office pouch laminators also laminate much more quickly (in some cases, more than three times as fast as the home machines). - Max. Width: 12 1/2"
- Max. Width: 11 13/16"
Both of these machines are equipped to handle daily use, however they differ in a few key areas. The Akiles APL-320 has a larger maximum width, but a slower laminating speed than the SircleLam LA-7020E. Independent heat and motor switches and variable, electronic heat control are included on both laminators, but the types of heating elements differ. Depending on your requirements, either of these machines would be a productive and beneficial addition to an office setting. If you need a machine that is even more powerful, then read on to learn about professional pouch laminators. Pouch laminating machines for professional settings are the most robust machines on the market, and offer the most features. These laminators are available in widths ranging from 4" to 44", and can laminate pouches from 3 mil and 10 mil thick (with select machines having the ability to mount and laminate simultaneously). Professional pouch laminators also have the highest maximum laminating speed, with some machines laminating 12' per minute. Nearly all industrial machines come housed within metal casings for added durability. Both of these machines are equipped to handle high-volume, professional use, with the primary differences relating to the number of rollers and overall speed. The SpeedyLam 330R-10 from James Burn International laminates nearly four times as fast as the Akiles Pro-Lam Photo and has two four additional rollers, but the Akiles Pro-Lam Photo costs less than half of the price. Depending on your requirements and resources, either of these machines are capable of producing a high volume of laminated documents. A Cheaper Copier machine is one of the best value equipments widely used in offices and commercial places today. These devices are a gift for small size offices or new businesses, as such an investment savings. Which normally turns out to be a great deal of money? These types of machines were earlier called, Xerox machines, but with the advancements nowadays, these units provide top quality and high-grade photocopying tasks. They perform functions; like copying colored materials; like photograph pictures, and much more. With the industries growing demand; manufacturers continue to make new inventions and developments in the copiers to make them more useful devices. There are a lot of advancements and innovations in the field of copiers. Hundreds of models with amazing features have made work very easy and safer, thus saving a lot of time, space and most importantly money. This modern office equipment today, is multi-functional and capable of performing various unique functions like printing, faxing, and scanning with a single device. These electronic devices allow copying, sending faxes, or making collated - even stapled - sets of documents from just a single piece of equipment. These units also produce exceptional, sharp black and white images, true-color images and even many professionals use them for graphics and artwork as well. Today's copiers are also fully loaded with features like settings for security, speed, resolution, brightness and contrast, and sizes. If you need zooming capabilities, many copiers come with 25 to 400 per cent and minus 800 per cent reduction/enlargement capabilities. 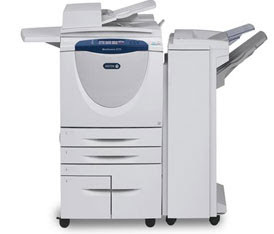 The type of copier that you choose will depend on your specific needs. There are many brands which manufacture different types of copiers in the market today that easily fulfills all the home, office and business needs. The most widely used cheaper copiers are the color inkjet photocopiers, desktop multifunction copiers, smaller laser printer copiers, network copiers and digital copiers. The huge price tag of the new copier machines is one of the main reasons that have forced many small business owners to buy cheaper or refurbished copier machines. Before purchasing the cheaper copier machines, do ask the vendor about their refurbishing procedure. It should be thoroughly cleaned inside and out, have all damaged parts or accessories changed. The machine should be further inspected for any possible problems. Resolve the warranty issue before hand with the dealer and do not settle down for a 30 day warranty period by any means. Arrange for a maintenance agreement prior to the purchase, which covers all the parts that typically wear out or break, including the belts and drum. When buying a used copier, the insurance is definitely worth the cost of the service coverage. Many copier dealers will sell a used copier "as-is" for even steeper discounts, usually with no warranty or one as short as 14 days. While the initial price may be attractive, you'll probably wind up paying more in the long run in repairs and maintenance for this reconditioned copier. A cheap copier machine is one of the many great contributions of technology that help improve lives and create quality living. 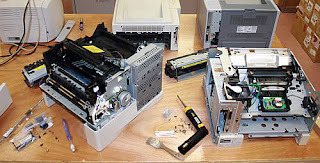 Check out our website at http://www.ctcopiers.com/hp-printer-repair/4588158193 to make an informed choice.